Grading is a controversial topic in education. When children enter grade school, they complete work and get report cards on how well (or not well) they did in subjects that quarter. Many districts require that all students receive a letter or number grade, some as often as two grades per subject, per week. But how do we give fair grades to, for example, a fourth grade student working on a kindergarten level? Or a student who receives accommodations and modifications, but still may not have full completed a lesson? Calculating these grades for students can be tricky. What criterion do you take into consideration? How many skills? Does each child get graded on the same criterion? So. Many. Questions. Valid questions and valid concerns. Rubrics allow a teacher, paraprofessional, service provider, and/or admin to break down lessons and skills into competencies and criterion. Each criterion gets rated on a 3-2-1-0 scale, which can then be turned into a percentage. 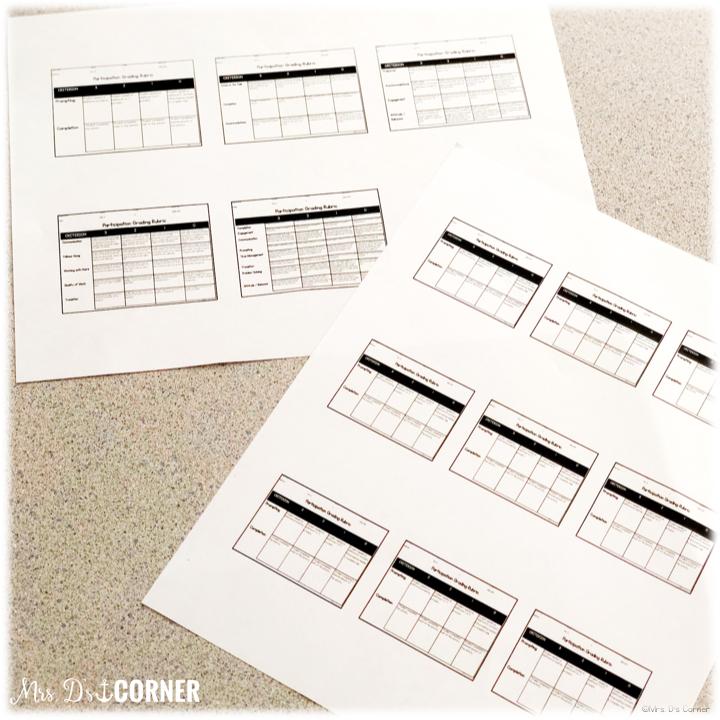 In the same manner that grades can be used to show growth, rubrics can easily be used to chart progress on IEP goals and objectives, or to identify a specific area or areas where a student may need additional instruction. Any classroom setting can benefit from utilizing rubrics… inclusion, resource, regular ed, self contained, outside services. 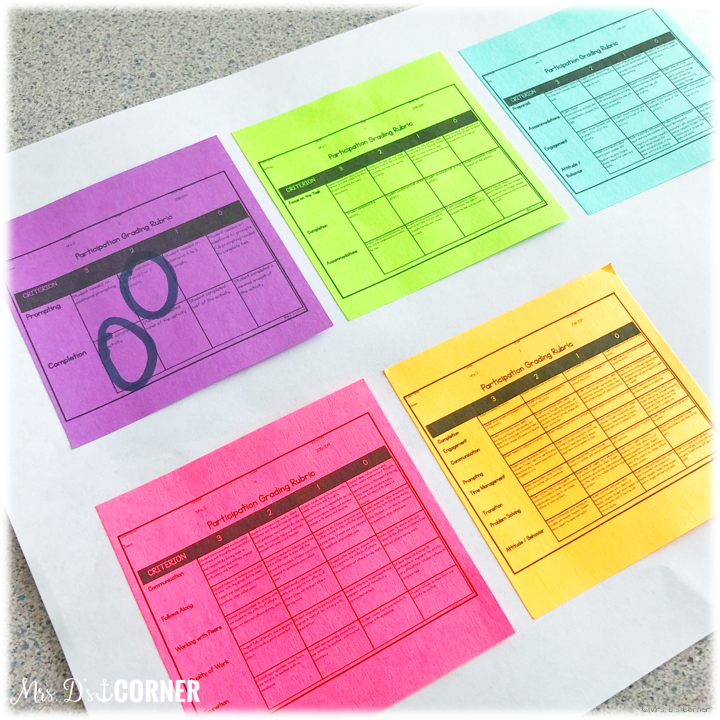 So how do you use rubrics in your special education classroom? Make the rubrics work for you. The rubrics included in the Editable Grade Rubrics are 100% editable. The leveled criterion are already provided for you, but you have the option to edit them to best fit your students. I recommend having a general classroom rubric to grade students on. I would choose no more than 4-5 criterion, and choose criterion for the skills that a majority of your students are working on. For me, it’s typically completion, engagement, communication, and prompting. Keep this rubric in places where all of the adults in your classroom have access to it. Your whole group table, the front board, substitute plans, clipboards for inclusion and resource, para binders… it should be easily accessible. 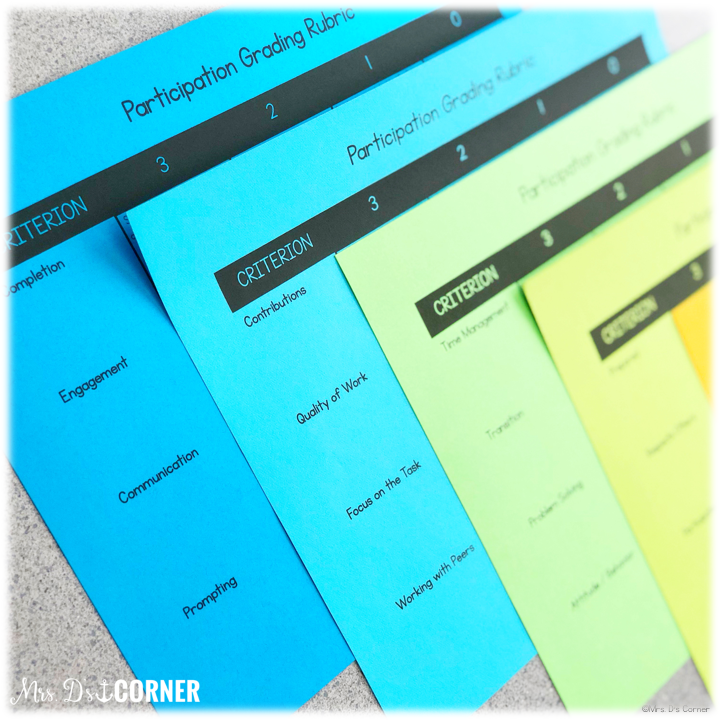 When it comes to grading students, though, don’t stop with one “blanket” rubric. 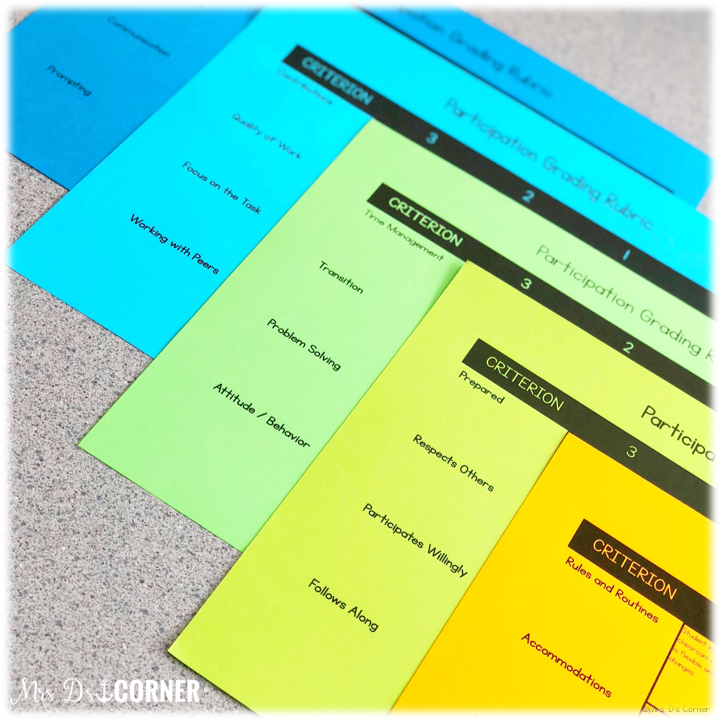 Create individualized rubrics for each of your students. 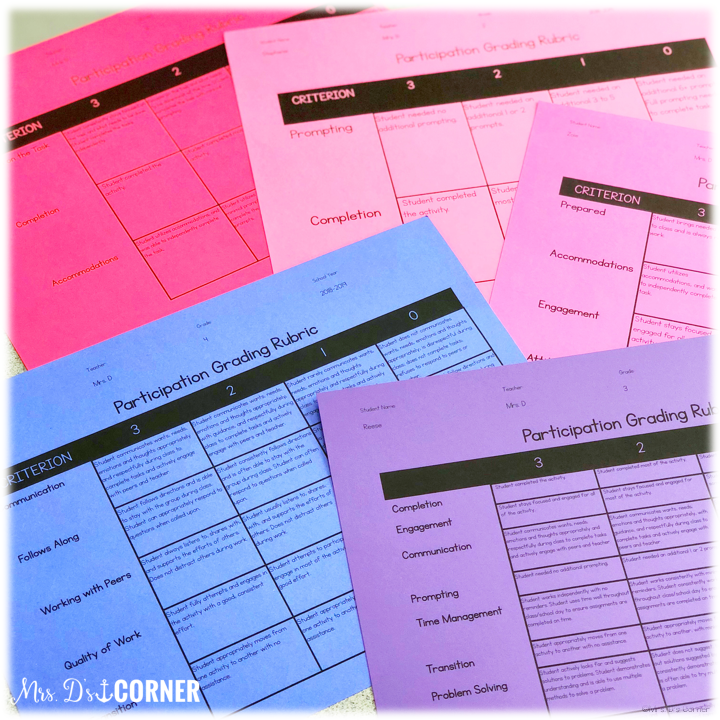 Individualized rubrics to meet the needs of each individual kid, because it isn’t always as easy as one size fits all. What skills is Stephanie specifically working on? Maybe it’s just prompting and completion. Maybe it’s focus on task, transitions, and engagement. Maybe there are 8 appropriate criterion that Stephanie would benefit from working on. These options make charting progress and showing growth easy. Take a look. 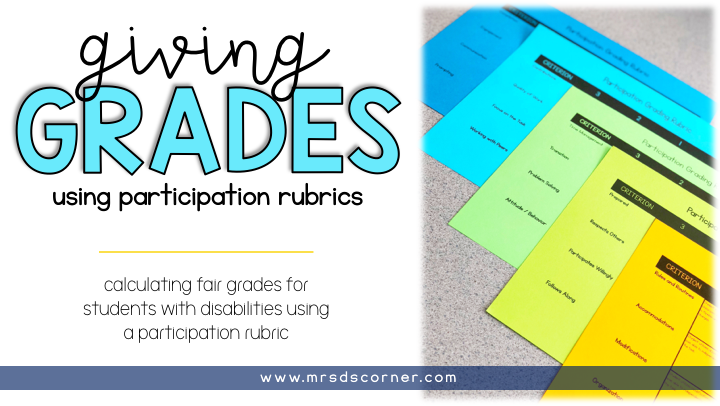 What questions do you still have about using grading rubrics for grades in special education classrooms? Or what other tips can you share? Let us all know in the comments below. Share this blog post or pin the image below to save it for later. This is a wonderful resource and I cannot wait to use it in my classroom, but I have a question. How do you give actual grade for say ELA and MA? We are tryign to brainstorm ideas on how we can give our higher fucntioning students an actual grade for these areas. Thanks!